The world’s biggest prize for tapestry has been awarded to a Norwegian artist. Britta Been’s Vine work came on top after 17 artworks by 16 artists from around the world were put forward for the 2019 Cordis Prize. Each woven piece will be on display at Inverleith House Gallery in Edinburgh until May 27. Cordis Prize founder Miranda Harvey said: “With such a strong and diverse shortlist it was very hard to pick just one winner. 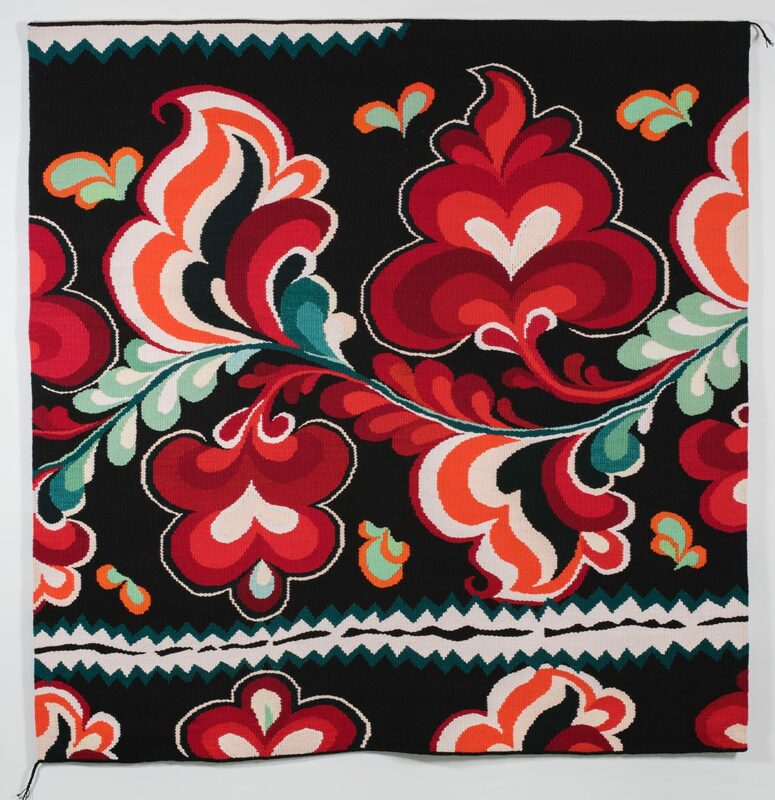 Describing the piece, Ms Been said: “Telemark, where I live, has strong traditions in different aspects of folk art, and the bunad from here is known to be rich and colourful. “I have chosen to weave the patterns on a black background. Black boldly highlights colours and makes patterns stand out. “The forms are essentially retained as in the original embroideries, even though the patterns have been revised and adapted to transfer from a shirt to large woven tapestries. “The patterns are enlarged and made more visible. The tapestries from this series are a tribute to women’s creative work, their time and patience, and the sheer abundance these embroideries represent in textile folk art.